Million dollar antique display. Open daily all year. Four dining rooms. 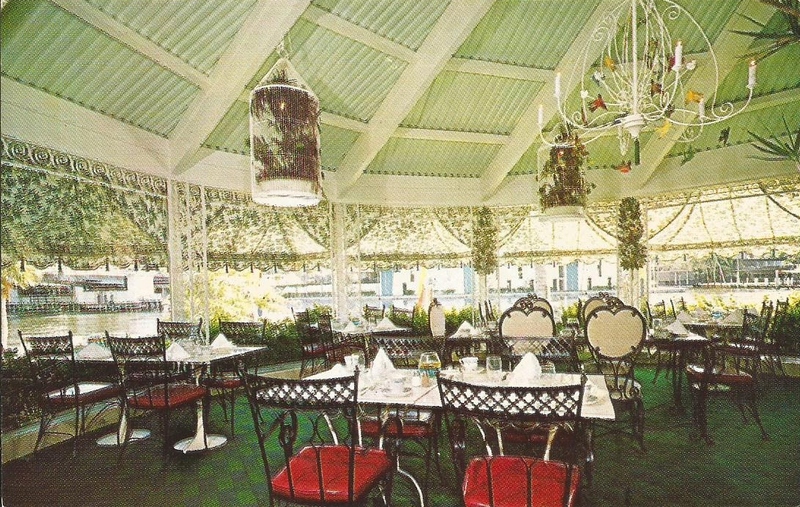 The Sevres, the Venetian, the Gazebo and the Cybis Room serve continuously from 11:30 a.m. to 9 p.m. Ample parking for yachts or automobiles. Service is excellent. One of the finest restaurants in America. All the food is good and the "World's Best Apple Pie" is served. Cocktails are recommended in our Fantasy Lounge. Southern style cooking. All foods prepared and cooked in our own kitchen. Hot rolls and pastry made in our own bake shop. Unusually large variety of foods to choose froml. Lunch: $1.45 - $3.50. Dinner: $2.75 - $4.50. Recommended by everybody as America's showplace.